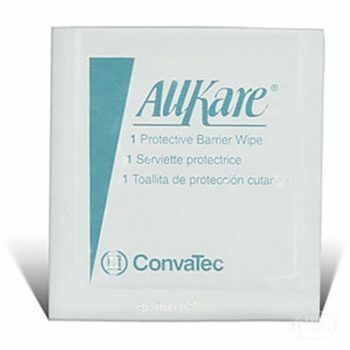 ConvaTec AllKare® Protective Barrier Wipes provide a thin, comfortable barrier film layer on skin to help guard skin from irritation, excorciation, and adhesive build-up. Used under tape, skin barriers, adhesive products, and/or hydrocolloid dressings, this offers the best of skin protection with a non-water-soluble formula. Learn more about available product options by scrolling down below, or contact us today for additional information on the right ostomy supplies and accessories to fit your individual preferences, needs, and lifestyle.